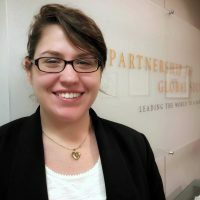 Ms. Anjela Lusk is a Communications Assistant at the Partnership for Global Security where she provides program support for the Global Nexus Initiative (GNI) and Initiative on Nuclear Security, Governance & Geopolitics (INSG). Specifically, she focuses on nuclear security and governance issues. She is also currently working to complete her master's degree in European and Eurasian studies at The George Washington University. Her specialization in the European and Eurasian studies program in International Security Policy. She has written papers focused on Transatlantic Security and Relations, Nationalism in the Eurasian region, China’s growing influence in Uzbekistan and Kazakhstan, Russia’s influence and propaganda in Eastern Europe, and on EU migration.